Drs. John Aurelia and Dina Khoury are dentists in Rochester, MI who are here to help patients achieve the smile of their dreams. Sometimes, imperfections of the smile may cause patients to feel self-conscious about the appearance of their teeth and gums. In many of these situations, our dental staff may be able to provide a viable, affordable treatment called dental bonding. Dental bonding uses a composite resin material that is adhered to teeth to address imperfections on them. This material is almost like a clay and can be molded onto a tooth. Then, with a specialized curing light, the composite resin is hardened. Afterwards, the dentist files down and polishes the material to make it match the natural tooth structure both in appearance and feel. To determine if dental bonding can help your smile, we encourage patients to take the time to discuss it with a cosmetic dentist. Most patients are appropriate candidates for dental bonding, as it can be applied in many different situations. However, patients should always have a smile free from cavities and periodontal disease before they move forward with cosmetic treatments. 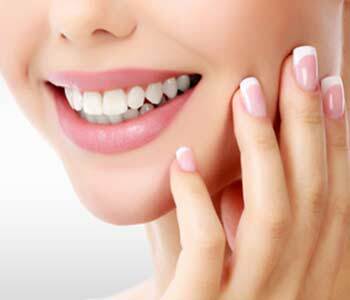 We welcome patients to book a consultation appointment with Dr. John L. Aurelia to determine if they are good candidates for cosmetic dental treatment and if so, how to move forward with enhancing the smile. In most cases, patients can expect their dental bonding to last several years with proper care. This means patients take a proactive approach to keeping the material clean by brushing and flossing after every meal. The composite resin material is susceptible to staining, so it may need to be replaced over time if patients have certain habits such as drinking dark sodas or coffee on a daily basis. The material can also chip or crack if patients bite down on hard items, so habits such as chewing on pens or chewing ice are not recommended. Many patients find that composite resin bonding is extremely affordable, especially when compared to the alternative options available. In some cases, patients may be able to get their treatment covered in part by their dental insurance plans if the bonding is used to treat a non-cosmetic issue. We do advise patients to bring their dental insurance information with them to their consultation appointment to find out if they are able to use any benefits for their treatment. What are some alternatives to dental bonding? Dental bonding can be used in many ways, which leaves the door open for many different types of alternatives depending on what type of dental or cosmetic treatment a patient needs. Dental bonding alternatives may include porcelain veneers, dental crowns, professional teeth whitening, and orthodontics. These all vary depending on the reason patients are seeking bonding materials. Now is a great time to connect with Drs. John Aurelia and Dina Khoury of Rochester, MI to speak to a professional about the solutions available for smile enhancement in our state-of-the-art facility. Contact the practice, conveniently located at 804 North Main Street #201A, by calling (248) 243-6044 . Our practice is here for both new and existing patients!